Your nutrient chart is to a large extent good, But when you prepare for 1 gallon of nutrient then your accuracy on nutrient becomes difficult, Minimum nutrient solution should be prepared for at-least 100 litters . Temperature control i am not really worried as in Bangalore the weather is good enough and i am setting up sprinklers attached to the humidity meter, and i am still working on a heat pad system at low cost, will share once i get the prototype ready. Yes i am making the nutrients my self and yes it is different for various crops and also different mix for every stage of the plant. the salts are available with almost all agri stores . Ratio of salts and the nutrient formula,Shall share them on request on mail. But i am sure it is economical ,Not expensive and need no to many control systems. 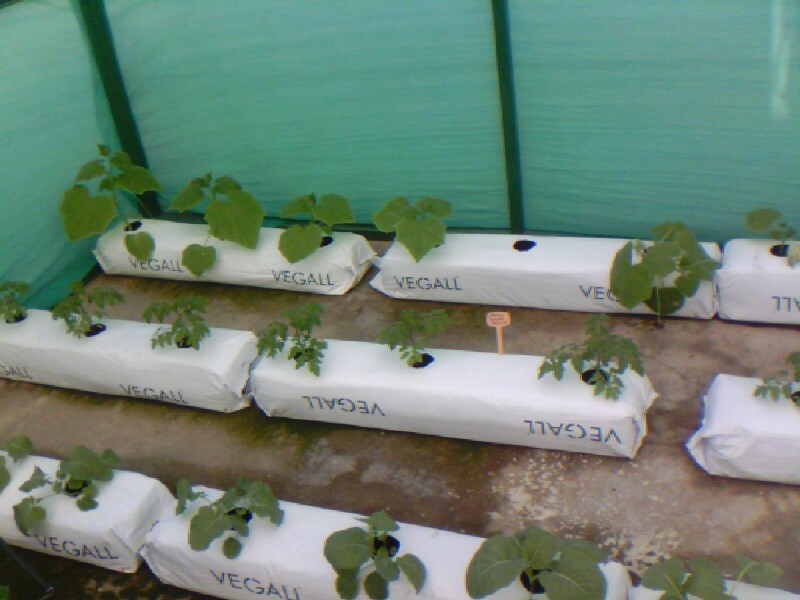 These pictures are 20 days old, as of now i have around 100 tomato(3 plants) and some 75 chilies (4 plants) and a dozen of marigold(4 plants) and Brinjal has just flowered These are only prototype i am also working on making a large size units which can hold like 100 plants so i can check if the quality of fruit and flower deteriorate if planted vertical or is there any pest issues. I have made an internal watering system for all these units. These are more like clinical trial so numbers may sound very small and big farmers may feel like a joke, some one talking 100 tomato and 100 chilies …hope its taken in right spirit. Again wish every one a Happy and Prosperous new year and a Great year ahead… Happy farming . You said you are making the fertilizer mix yourself for different stages of plant growth, how you manage to do that. And how do you know what element / what quantity a plant requires at a particular stage ? Will be grateful if you could share these details. 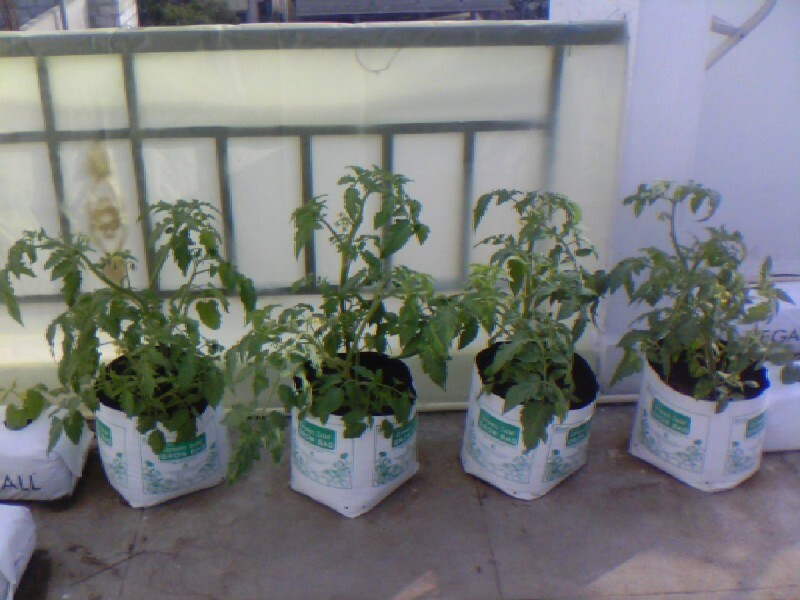 I use only coco-peat as a medium in one system which is drain to waste method ,Where the extra water will drain through bottom holes.,When it comes to my NFT i use only nutrient water and PVC pipes for support and water is recirculated. I am using Drip system for irrigation for Drain to waste, and when it comes to mixture of nutrients yes i have refereed many recipe and tried with many combinations to finally get the right one. Different nutrient for different stage is wrong, What i do is increase the EC at different stage,That is concentration on the nutrient. This again when u see the plant growth u will understand. .
Guys i got the stapler plant support tool and the Stings today:) I am going to start my plant knotting from morning and training . Will update with more pictures . 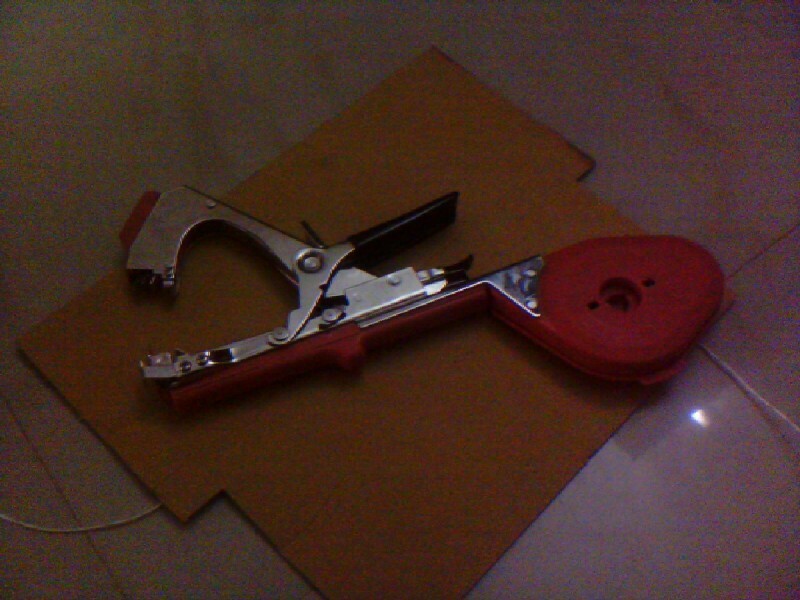 This price is super , I got the stapler for 6.5k from the distributor Agro Vision -Jaipur ,Who in-turns Imports. Have you bought this nor seen it AK? Kindly let me know on the quality or if you can post some pictures it will be use full. hi VERTICAL good morning i have not purchased this stapler. my cucumber plants are old and need no training at this stage. so i may buy this during next season. i saw the ad in a tamil magazine and enquiredover phone only. the dealer told that he had sold about 3 pieces. just see the price variation. even this dealer will be having a profit margin of abt rs 1000. finally all this price hikings fall on us-- the farming community. if you ask the dealer , he might send u the pictures and specifications. 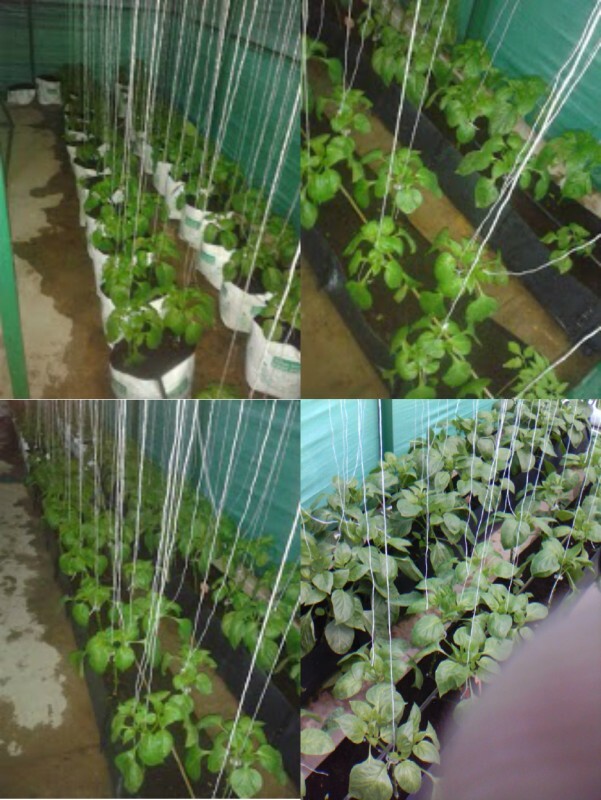 kindly provide us the Material Required for Establishing Hydroponic Farming kit.What are the Material required. Wheres hall we get the material for erecting the unit in Hyderabad.Whether Green Shade is Necessary. How to make Farming and what material be filled and how to provide water etc. Kindly provide Full Tutorial for me as well as to our Forum Members too. 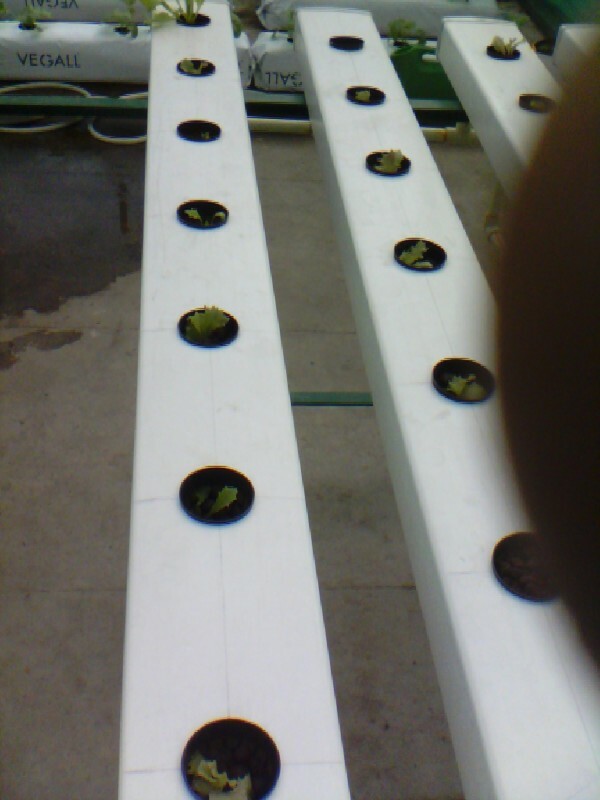 Yes at last all plants are been trained with Clips, looks great to see them now, and my NFT is also functional just some pictures. 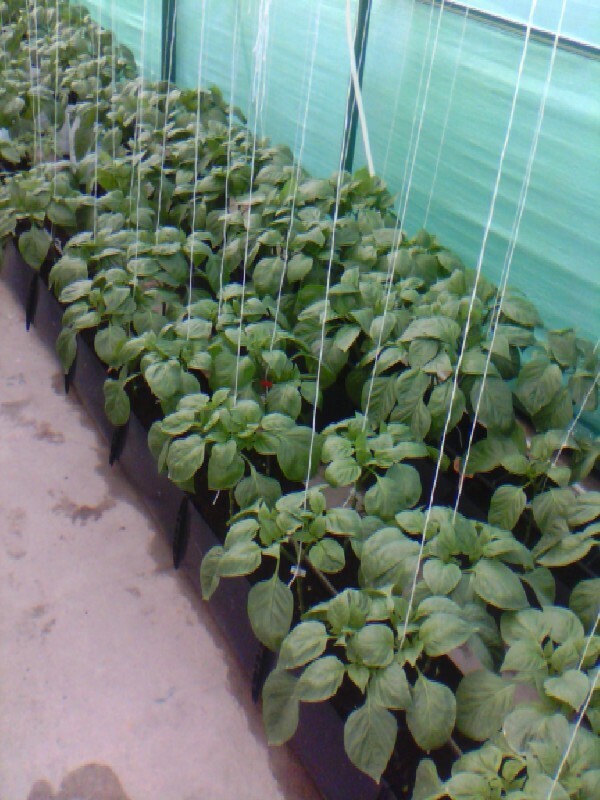 Kindly let me know which method you would want to establish in Hyderabad and at what size so that i can give you a fair idea on how to go about, I will need you to provide me with details of what crop you will wish to grow so that we can plan accordingly on the structure of the units. 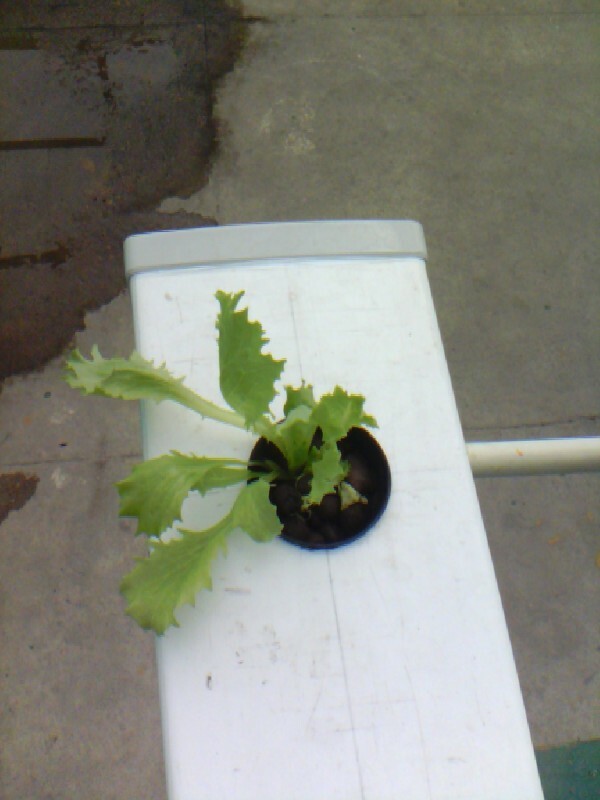 Irrigation is Drip for grow bag method(Drain to waste) and NFT you use recirculating system . I do not use any High cost fertigation system with injectors,I use simple A + B Tank .and drip system with timers. Kindly mail me back with details so i can provide you with my little experience a fair knowledge share. As far as my Introduction is Concerned , I am a Farm Consultant and Motivator of Organic Farming,Yogik Khethi (Cultivation With the Vibrations got from GOD with YOGA). 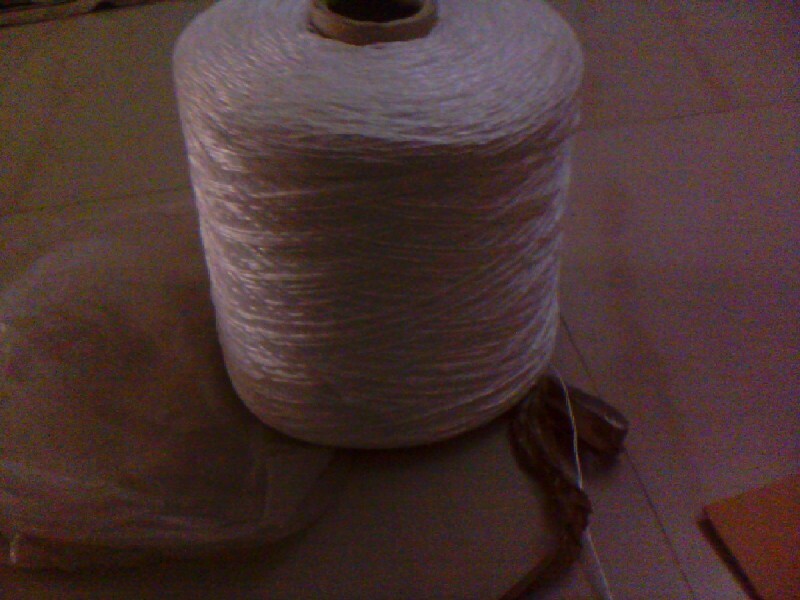 Though I am making Vigorous efforts in the above fields none is coming Forward to taking up the above Methods in view of lack of support from Govt., Low yielding Initially,Certification is a Great Task, No supporting Price for the products under this Methods etc. Now I have concluded to motivate the URBAN Residents in explaining about the Health Conscious and easy adaptability of this Hydroponic Farming Under Organic Methods .I am in hope that I can succeed in this Regard. Before that I should well acquaintance with this Type of Farming. Hence a Training is Needed for this Purpose. Kindly enlighten us whether there are any Training Centers in Hyderabad or nearby. If not I am bothering you to Provide Training at Your Place. This is a Serious Request and I am in hope that you will help us in this Regard. This is great work. thanks for sharing all the details which will help for all the peoples.i’m very much interested in to this project. i would love to visit ur site to understand more. Any time, Just give me a message before in Hand. 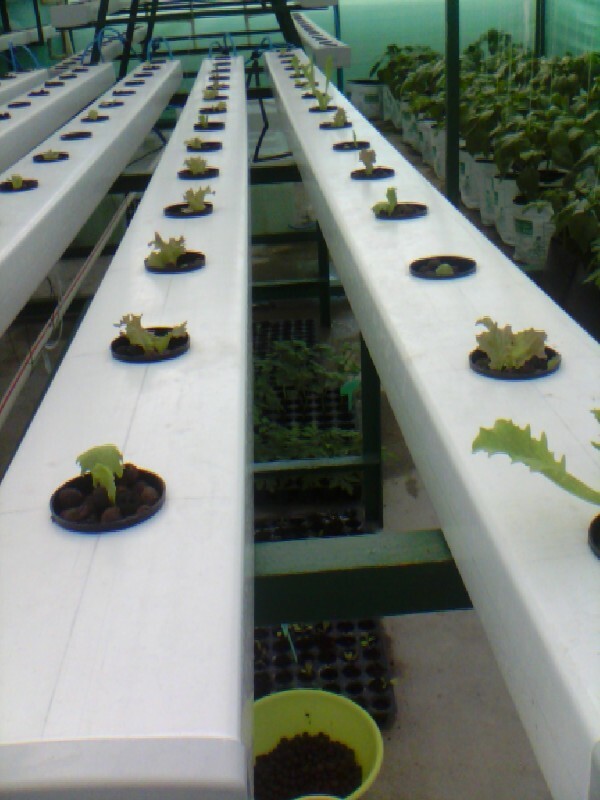 I do not mind coming to Hyderabad any time … But where do we gather up and how do we plan this, I am not a expert in agriculture but sure can share what ever Knowledge i hold in Hydroponics which will help others . This will not be any commercial activity nor any kind of profit making exercise . Will only be a knowledge sharing opportunity and not business making opportunity. I have my house in Hyderabad so my stay is not a problem, But place of the activity should be decided. Who ever are interested can join this with open mind . If any one coming with the intention of commercial interest to promote there products or looking for investors will not be entertained. Thank you Sir for your prompt responses.Kindly inform us the Time and date you can Provide in the Month end of February 2014.Also inform us the Cost of FEES nd the Cost of Minimum Equipment so as to enable us to prepare for the Same. If no one is willing to come in Hyderabad you can come any time of the week to Bangalore. I am Inviting Interested Participants in Hyderabad for attending Training Provided by Mr. Goutham Garu . We will Plan for this Training in the Month of March 2014. Depending upon the Participants we will Plan for the Venu. Interested in Participating the said session may kindly Contact 9133498366, Satyanarayana.Manne. kindly let me know whether Poly House is Necessary for the Hydroponic Farming.If poly House is a Must I cannot afford Sir.